Because, by its very nature, niche services and products are meant to reach highly specific audiences, it is necessary that businesses that serve niche markets consult with the best digital marketing companies when approaching online marketing. It is imperative that niche businesses begin their marketing efforts by focusing on identifying and targeting their precise consumer demographic. From there, it is necessary to know on which digital channels this audience can be found, and the types of content they are shown to connect with. 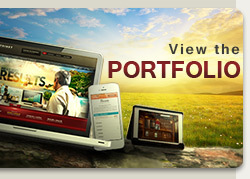 A highly experienced digital marketing agency, the best in their field, can do this. They can also identify what precise combinations of digital assets and tactics will deliver the highest click through rates (CTR), deliver more meaningful leads that result in higher conversions. At its most basic, digital marketing refers to marketing that relies on the internet as the primary medium for communication. Unlike newspapers, magazines, business cards, and advertising time on traditional radio and television sources (and much more), there is a very important difference in digital advertising that only the best digital marketing companies and their experts understand well. With traditional advertising, if you have a large enough budget, a business could create demand for its products through captive advertising. Before the internet, advertisers could pay top dollars to leverage a relatively captive audience. They could create demand by relying on basic principles of psychology and the conditioned human response. For example, advertisers commonly relied on the mere exposure effect, a marketing technique that relies on repeatedly exposing their products to a highly captive audience to increase likability and generate demand. With a captive audience, there was infinite potential to create demand. It’s tempting not to stare at the cover of a popular and widely distributed magazine while standing in line at the grocery store. It’s nearly impossible not to catch sight of the latest model sports car ad on a prominent billboard on your drive to and from home. And, until recently, consumers were not given the option to skip television advertising throughout viewing. This is not the case with online advertising and the best digital advertising companies understand that the landscape for advertising has fundamentally changed. With digital marketing, advertisers must work to captivate their audience and keep them engaged by remaining active and connected. Advertisers can no longer rely on top dollars to vie for a captive audience. The experts at the best digital marketing companies understand this very fundamental shift. The best digital marketing companies understand that on the internet consumers’ attentions are fleeting at best. There is intense competition for the best content in a highly saturated space. One of the main reasons why the best digital marketing companies approach digital advertising very differently is because on the internet, consumers are powerful when it comes to eliminating noise. In the digital space, users can be much more selective regarding what they will be exposed to. 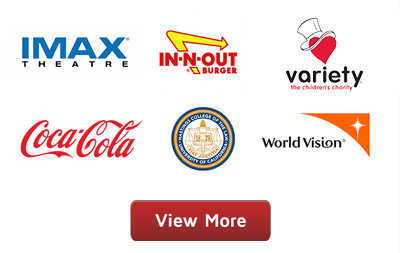 They have the option to opt out and eliminate altogether advertising they are not interested in. Thus, content that fails to deliver value (defined as useful, helpful, informative, entertaining or any of these combinations) goes largely ignored. Most consumers today have abandoned traditional forms of media and replaced them with the internet. And this number is only increasing, and at an exponential rate. The experts at the best digital marketing companies understand the landscape upon which your audience resides and congregates. They know their likes, dislikes, what inspires, motivates and excites. They know what prompts likes, posts, and re-tweets. The best digital marketing companies can readily identify what specific digital assets are best suited to grow your audience and what combination digital tactics are likely to return the most desired result. How do you advertise to an audience that is powerful to opt out of your advertising? The most fundamental change in advertising that the best digital marketing companies understand is the consumers’ ability to bypass your advertising with just one click – either by opting out or by bouncing off your page. At first glance, it seems the tide has turned and the power has shifted from the advertiser to the consumer. But does this mean that advertising within the digital space necessarily presents an uphill battle, or even more costly than traditional advertising? No. What it does mean, is that for a lot of businesses, the internet has had the unexpected effect of leveling the playing field. The internet has effectively lowered the barrier to entry and opened the doors for much smaller businesses, that otherwise lacked the means to compete. In some ways, online marketing involves a more democratic process as compared with more traditional forms of advertising. Meaning, in order to succeed in digital marketing, businesses must place a higher value on connecting with their audience, and identifying their needs. The best digital marketing companies with expertise in the field understand that in the digital age, consumers’ definition of value is no longer laser focused on the quality of a product. Rather, consumers place tremendous value on the quality of their connection with your business, and their ability to interact and engage with you. Oftentimes, in the digital space, your ability to engage your audience is the first most important step toward conversion. This also means that in the digital space, consumers are much more powerful. They place a premium on their connection with you, and your ability to engage, excite and motivate. This means, your pages provide a platform for interaction – for peer reviews, comments and complaints. The best digital marketing companies understand that a business must also have a process in place to respond promptly to customer comments and complaints in order to continue to grow their business and audience reach. The best digital marketing companies anticipate and build your advertising strategy with these basics in mind. The pros to digital marketing is that when done correctly and with the right strategy, your business can soar even on a shoe string budget. The best digital marketing company can identify and determine how best to leverage your digital assets. They can also identify the digital assets you need to build and leverage to achieve your short and long term marketing goals. They can direct you toward or provide content they know from hands are experience will be effective to resonate with your audience. They can also continue to monitor, engage and interact with your audience. Most importantly, the best digital marketing companies make regular ongoing adjustments to both your digital assets and the digital tactics used to promote you, to ensure that your audience continues to grow. The cons to digital marketing, is the premium it places on your businesses ability to successfully navigate the digital landscape and charter an entirely new and rapidly evolving territory – one of regularly engaging with your consumers, providing a sounding board for their feedback and responding to them timely and effectively. The greatest pitfall to digital marketing is the inability to successfully communicate with your consumer and connecting with them in a manner that is most meaningful to them. Failure to respond promptly and appropriately with your consumers has the potential to powerfully disrupt your business over night. This places a huge premium on your ability to engage and communicate correctly with your audience. Absent the level of hands on experience and the ability to successfully address your consumers could lead to a communication crisis of unprecedented proportions resulting in huge unexpected losses in revenue, all within a very short amount of time. This is why it is necessary to work with the experts at the best digital marketing companies to strategize with you, from the outset. The best digital marketing companies are prepared to guide you and help you navigate the rapidly evolving digital landscape, to ensure that you stay connected and come out on top. How Can Digital Marketing Benefit Niche Businesses? 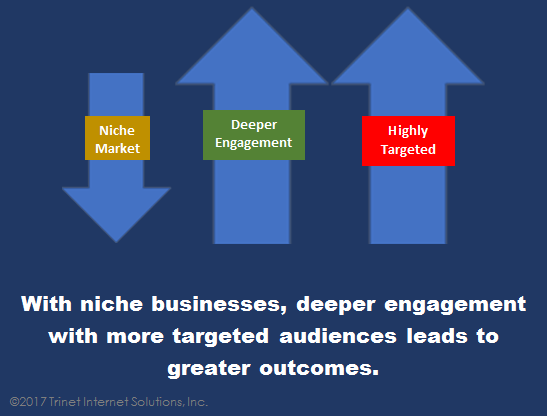 Niche businesses target highly specific audiences. It is often the case that niche businesses operate on a smaller budget. Before the internet, niche businesses struggled to just get off the ground. But the internet has changed the business potential for niche businesses, dramatically. Digital marketing through experts at the best digital marketing companies can prove to be an invaluable asset for a niche business, in particular. The best digital marketing companies know where your audience can be found online and how best to connect you with them. They understand what digital assets, and what combination of digital tactics will prove most lucrative for your type of business. They are experts at creating the precise types of content your audience will resonate with. More important, they know how to motivate and excite your audience to like, follow and re-tweet your content to further expand your brand reach and generate demand. The best digital marketing companies with years of experience understand what strategies will best serve to promote your niche product. For a niche business to succeed with their digital marketing strategy, it is critical to first determine which social media platforms are best suited to connect with like-minded people with a demand for their niche products and/ or services. The best digital marketing companies can identify where within the vast digital landscape, your audience congregates. They also know the most effective ways for you to connect and engage with them. When operating on a shoe string budget and promoting a niche product, more popular social media platforms like Facebook and Twitter may not be the wisest choice. Niche businesses will realize a greater return on investment and more meaningfully connect on platforms that are less saturated and present less competition. These platforms also tend to be much more cost effective. Niche businesses need to begin by promoting themselves on digital channels where they will get noticed. Once they have connected with their target consumer base and after investing in cultivating those relationships, they can then direct their ad spend toward other forms of digital advertising, e.g. email marketing, Facebook and Google Ads, re-targetting, and also YouTube advertising. Niche businesses have the most to gain by focusing their digital marketing efforts on building deeper and more meaningful engagement. It is simply not cost effective for niche businesses to attempt a wider and broader audience from the outset. Remember, niche businesses, relative to other businesses that target much wider consumer segments, need to focus on building consumer loyalty in order to succeed. By targeting and focusing on highly targeted consumer segments, and investing heavily in connecting and engaging with them in deeper and more meaningful ways, niche businesses can take advantage of user generated content (UGC) – a highly cost effective marketing tool. User generated content is invaluable for niche businesses. 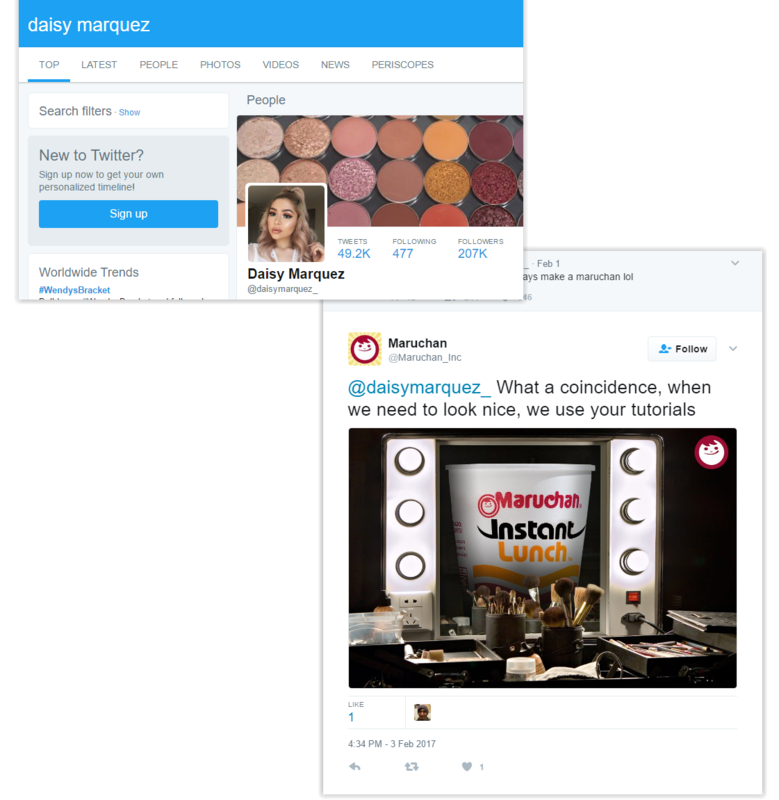 When operating on smaller budget and marketing to highly targeted consumer segments, user generated content can do wonders. User generated content is the best form of endorsement shared among like-minded consumer with an interested in your niche product. User generated content can also serve as the starting point for building partnerships with loyal consumers. Your new partners, comprising of loyal consumers, can later be transformed to derive the same kind of benefits seen with influencer marketing. Influencer marketing is about connecting and building on relationships with those that already have a sizable following on various different social media platforms. By identifying those consumers with an affinity for your niche product and partnering with them, your niche business can more quickly gain access to a much wider audience, and on a much smaller budget. Once your niche business has built up a sizable audience, you can move onto highly targeted email marketing and digital advertising – e.g. retargeting ads focused on that audience. As you can see, we have now come full circle. As noted earlier, retargeting ads are rooted in basic consumer psychology and rely on human conditioned response to repeated exposure. For niche businesses that promote products geared toward highly targeted consumers, it is necessary to first identify your audience, hone in on that audience with genuine affinity for your product, then direct your advertising dollars toward holding onto that audience. A niche business can begin advertising through more traditional digital channels once they have identified their audience and built a consumer base. They can further promote their products and pursue ongoing engagement with that audience by directing their focus on building content that establishes them as the go to expert within their niche market, either on their own or through their partnerships. As you can see, the best digital marketing companies are experts at creating strategies that will get your business noticed. Whether you are a larger business with products that appeal to wider audiences, or you are a niche business struggling to define and identity you audience, the experts at the best digital marketing companies know what strategies are most likely to deliver the desired result. Ultimately, online, it boils down to driving higher click through rates, and conversions. The best digital marketing companies can provide companies with strategies that can help them achieve the results they want, much more efficiently. With the advent of online advertising, the landscape for marketing has changed in many important ways. The most important benefit to digital advertising is it opens the door for smaller businesses to compete and succeed on much smaller budgets. On the other hand, where your consumers are powerful to review, comment, like, dislike, and regularly opt out of your advertising altogether, it’s important to invest in understanding your audience, connecting with them and making sure your relationship with them is meaningful. Building quality relationships with your audience online is important to both large and small businesses. Of course, it is a given that big companies with big marketing budgets can readily rely on their ad spend to quickly amass a huge following. With their large marketing budgets, they can also make sure that they continue to grow and expand. However, by following the advice of highly seasoned experts at the best digital marketing companies, a niche business with much smaller budgets can potentially thrive. By correctly identifying their most important digital assets and leveraging them strategically through user generated content, influencer marketing (and much more), niche businesses can amass a huge audience of like-minded consumers. In the end, the best digital marketing companies understand how to make you stand out, get noticed, and grow an audience that is most likely to deliver the clicks and conversions your business needs to succeed. Trinet Internet Solutions, Inc. is full-service digital marketing company with over 22 years of experience, more than 1,500 projects and over 95 industry awards. Whether you are a large business or a smaller niche business, you can count on Trinet to deliver strategies that are targeted to meet and exceed your expectations. With locations in Los Angeles, CA and Washington D.C., Trinet Internet Solutions, Inc. is ready to assist you with all your digital marketing and technology needs. What are you waiting for? 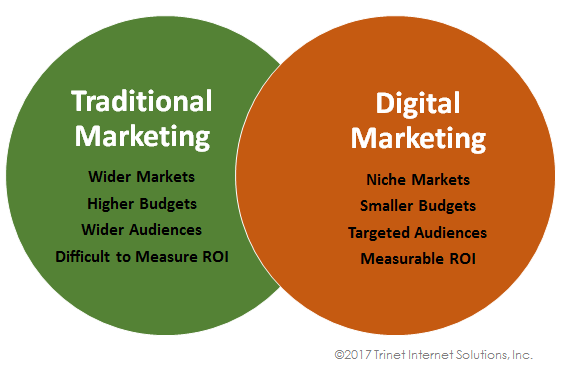 Contact Trinet today to discuss your 2017 digital marketing goals. Reach us by phone at 949.442.8900 or email us at contactus@trinetsolutions.com. © 2017 Trinet Internet Solutions. © Copyright 2017 Trinet Internet Solutions, Inc.